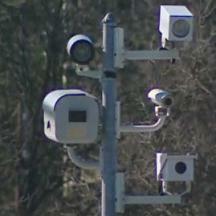 On May 2nd the Howard County Council voted to approve speed cameras in the county. Republican council member Gregory Fox was the sole vote against the program, and submitted several amendments to the bill intended to protect the rights of motorists and prevent the program from being used as a cash cow. The council did limit the number of cameras to 8, however that limit could be lifted at any time in the future, as a similar restriction was in Baltimore County earlier this year. Howard County had been one of the first areas in Maryland to get red light cameras over a decade ago, and Howard County Senator Robey(D) was one of the key players in getting statewide speed caemras approved by the state legislature in 2009. However speed cameras were controversial in Howard County and, unlike many other jurisdictions in the state, County Executive Ulman waited until the police had conducted speed studies at local schools... and after the 2010 elections... to introduce legislation for a county-run program. In a videotaped April 26th session, Police Chief Mahon discussed his planned implementation of the program for 1.5 hours with the council. Council Member Mary Kay Sigaty suggested at one point that the county should consider altering the speed limits in school zones, which currently range between 25mph and 45mph, to be 25mph in all locations. (time index 0:53:00-0:54:00). "CM Sigaty: Do we want to think about having a uniform speed limit for school zones and if we did how would we make that happen? CM Terrasa: Is your concern that there are some that are too high in school zones? CM Fox:So you're basically saying you'd like to see 25mph from 6am-8pm all year round in school zones? CM Sigaty: I'm actually contemplating it as an idea." The cameras, under state law, are restricted to operating in "school zones". In the April 26th session the council members discussed the ambiguity about what actually consituted a school zone, with some council members expressing concerns that existing school zones were not expansive enough. In a previous interview with Patch.com, police Chief Mahon stated "We’re trying to be as upfront as we could possibly be. We’re going to be in existing school zones. That’s where we’re going to be.” However in his April 26th testimony the chief did not object to the idea of expanding school zones, stating that it was up to the Department of Public Works to define school zones. A discussion was held regarding the type of contract arrangement. Council member Fox questioned the type of contract arrangement which the county might seek wtih their vendor. Fox pointed out that there is a restriction under state law against contingent fee contracts (time index 0:04:00-8:00),and that many jurisdictions in the state were circumventing that restriction and paying their contractors who build, maintain, and process violations from cameras and in some cases have much control over where cameras are placed, are in fact being paid per ticket. Chief Mahon stated that he would not object to a restriction against "a fee per citation". However when Council member Terasa questioned whether there was any relationship between the fee and the number of citations, the Chief responded stated that they were considering paying contactors per "batch of citations"... which council member Fox correctly pointed out was in fact still a contingent fee contract. (We note that the restriction in state law is not against "per ticket" payments, but payments to contractors which are "contingent on the number of citations issued or paid"). Stop Big Brother Maryland presented testimony at an April 20th hearing on the Howard County legislation, the gist of which was that in other parts of the state requirements under the law were not being complied with, and that ultimately promises being made to the to the public had not been kept. Fortunately that won't happen in Howard County.